Before all, I would say that this isn't an "all smoke and mirrors" project, I mean that I'm not doing this for create a hype for nothing or leave half the project, I'm going to finish it "yes or yes". After some messages with my partner Ryo Suzuki, I have decided to publish my personal game project for Dreamcast. I have created this post to show you the information and progress of it, so, let's go. Music: Music with a free licence for use and distribution. 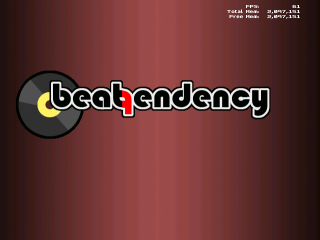 BeatTendency (BT), it's a music game like BeatMania, DJHero, etc. A game where your ability with your ears and your fingers go hand in hand. 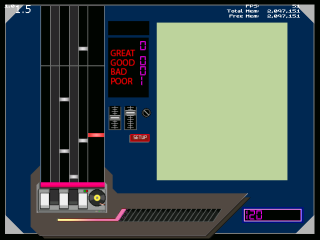 Our purpose is "make gotcha" with the chords at the rhythm of the music and get good points to overcome the level. I'm not discard make ports to other systems like PSP, GP2X or Sega Saturn. As you can see, the game graphically the game isn't be remarkable. The motive is that I'm not a designer and I don't have one either. I'm loking for one, so if any one is interested please contact with me by pm or my social media links. In this section, I'm going to use sound effects and music with a free use and distribution, naming each composer in the game and with a previous authorization. If any one is interested in collaborate in this section, please, contact with me by pm or my social media links. I hope your comments and you enjoy it. Last edited by KeiDash on Fri Feb 02, 2018 3:39 am, edited 1 time in total. Looking forward seeing this project progress. One can never have enough rhythm games! Beat Tendency seems awesome! If you'd like help with the American English localization, please let me know. Hello my friend! Your project looks nice, keep your good work! Thanks at all for your comments. I have your comments very much in mind, be they good or bad. KeiDash, when you require my help with the game, send a Private Message (PM) via the forum to me so I will notice it. Nz17 wrote: KeiDash, when you require my help with the game, send a Private Message (PM) via the forum to me so I will notice it. Look very promising. How are things coming along? I am really interested in this. I hope this is coming along good! Looks good so far. Anonymouse wrote: Look very promising. How are things coming along? I am really interested in this. The main screen has changed, the game graphs has changed too.